ALBUQUERQUE, N.M. — Six Sandia National Laboratories researchers have been appointed to the extraordinary positions of Sandia Fellows. The new appointees, from a wide variety of backgrounds, include the first female and first Hispanic fellows, Katherine Simonson and Gilbert Herrera, respectively. 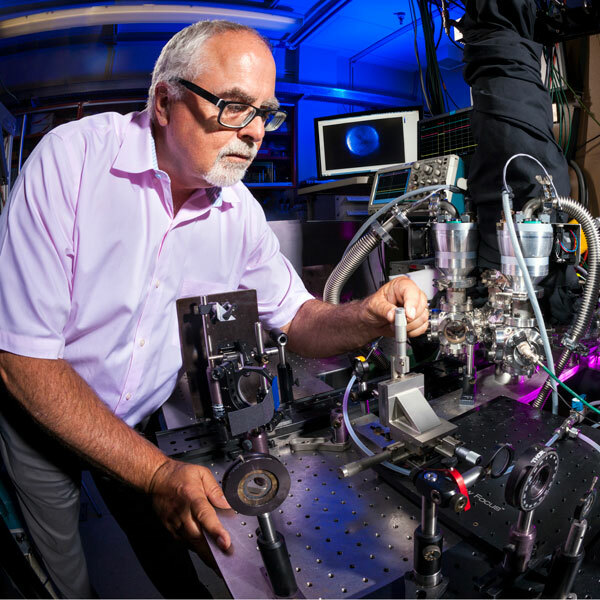 David Chandler, an internationally renowned gas-phase physical chemist, developed a technique called ion imaging that has become the standard for measuring velocity of products in many chemical reactions. Patrick Griffin, an international leader in the study of radiation effects, developed the NuGET (phonetic for “New Get”) code, a major tool for nuclear weapon qualification. 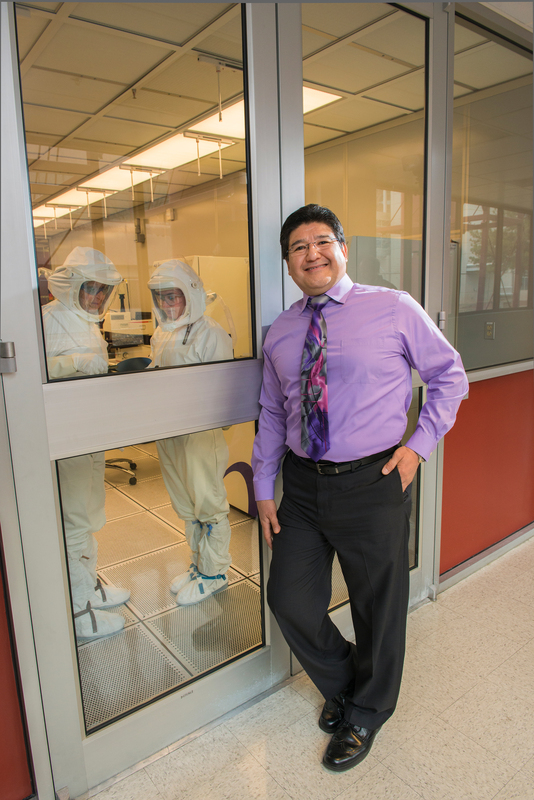 Herrera, an expert in micro- and nanotechnologies, led Sandia’s Microsystems and Engineering Sciences Application facility for more than eight years. 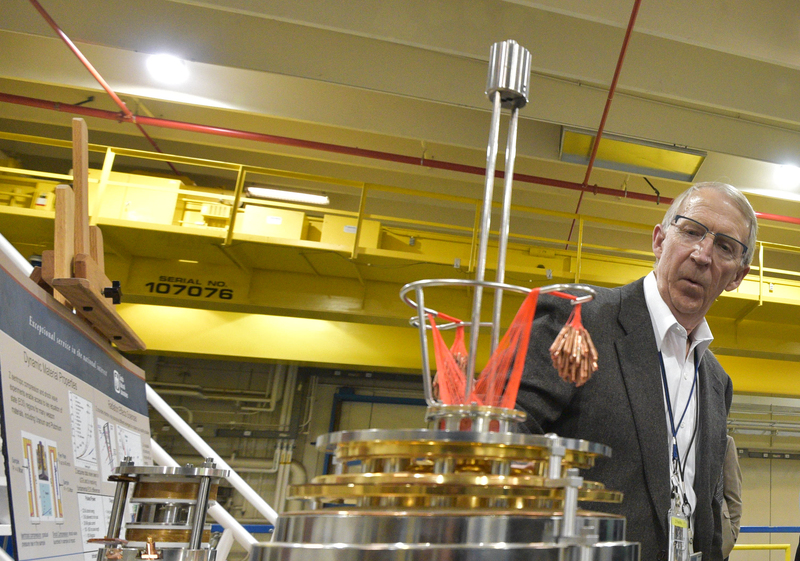 M. Keith Matzen has shaped the future of national security through his work to develop and apply extraordinary pulses of power to important problems in high-energy-density science and inertial confinement fusion. William M. Miller is a physicist whose work in microelectronics reliability was groundbreaking. He also has demonstrated breadth and depth in the performance of multiple national-level assignments over his career. Simonson developed data-analytic techniques widely used in the detection, classification and geolocation of threats, often providing orders-of-magnitude improvement over pre-existing technologies. Until now, Sandia had named only nine fellows in its nearly 70-year history. Seven are retired: Jerry Simmons, Jim Gosler, Gordon Osbourn, John Rowe, Gus Simmons (no relation to Jerry Simmons), Wendell Weart and Walt Herrmann. Those who continue to serve as Sandia Fellows are Jeff Brinker and Ed Cole. Growing up in Albuquerque, Chandler was awarded a gymnastics scholarship to the University of New Mexico, received a bachelor’s degree and doctorate in chemistry from Indiana University, went to Stanford University for post-doctoral work and joined Sandia’s Livermore, California, site in 1982. 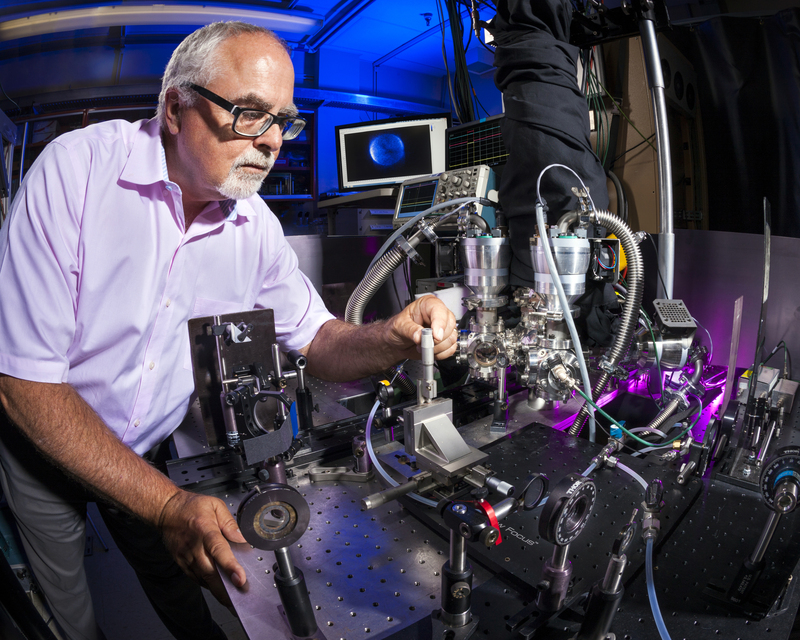 There he was awarded the last lab available at Sandia’s Combustion Research Facility. Sandia National Laboratories fellow David Chandler adjusts equipment in his lab at Sandia’s Combustion Research Facility. (Photo by Randy Wong) Click on the thumbnail for a high-resolution image. His research has focused on photochemistry of small organic molecules to understand bond energies and energy transfer in small molecules. He designed and built an apparatus that measured the speed of slowly moving charged particles. “Since one can easily turn a neutral atom or molecule into a charged particle by exposing it to light of sufficient energy to eject a low-energy electron, this new technique also measured the velocity of neutral particles,” Chandler explained. This ion-imaging technique earned him the Herbert P. Broida award from the American Physical Society in 2001. More than a hundred groups around the world now use some variant of this technique. In his spare time, Chandler helped friends start an educational toy company. “I enjoyed the fun of product development with them for many years,” he said. Chandler plans to strengthen fundamental science programs for the Basic Energy Sciences and Gas Phase Chemical Physics programs at Sandia and apply them to other Sandia work. Griffin grew up in Mineral Ridge, Ohio, a small town near Cleveland, earning his bachelor’s degree in physics, chemistry and mathematics, and doctorate in nuclear physics at Ohio University. Sandia National Laboratories fellow Patrick Griffin. (Photo courtesy Sandia National Laboratories) Click on the thumbnail for a high-resolution image. Even as a student, he characteristically started from first principles and dropped physics courses that failed to get down to true fundamentals until he later studied classical mechanics, electromagnetism and quantum mechanics classes. “Once my studies of physics began to approach things from first principles, I had found my home. I ended up completing the classroom work for a triple major — physics, chemistry and mathematics — but I was now a physicist at heart. And, like a 2-year-old, I could continue to always ask the question ‘why,’ but now, unlike a 2-year-old, I had the tools to try to answer and probe the questions myself,” he said. In his new role as a Sandia Fellow, he envisions working with the National Nuclear Security Administration and the Defense Threat Reduction Agency to better understand the vulnerability of the nuclear stockpile to evolving threats. He also intends to continue to engage with the international community to achieve a better scientific understanding of the physics behind radiation damage to materials. Herrera has made extensive contributions to Sandia’s work for the Department of Energy, the NNSA, the Department of Defense and the intelligence community. 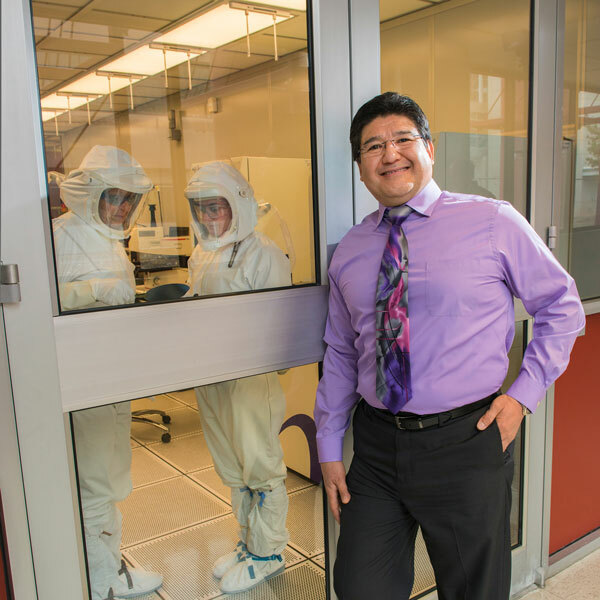 Sandia National Laboratories fellow Gilbert Herrera in Sandia’s MESA facility. (Photo by RandyMontoya) Click on the thumbnail for a high-resolution image. He started his undergraduate degree at the United States Military Academy but was injured playing college football. He received an honorable discharge from the Army, and continued his education at the University of New Mexico, earning his bachelor’s in computer engineering and a master’s in electrical engineering from the University of California, Berkeley. Herrera led the startup of Sandia’s MESA facility. He secured funding to sustain its silicon fabrication facility, and prepared the site for major nuclear weapons component production. His efforts included both a new approach to delivering radiation-hardened integrated circuits that saved time and money, and the first delivery of a compound semiconductor component to the nuclear stockpile. He has been director of the Laboratory for Physical Sciences — a joint University of Maryland and U.S. government research institute — and served at the White House Office of Science and Technology Policy as an AAAS/Sloan Fellow under President George H.W. Bush, where he worked on semiconductor and technology transfer policies. 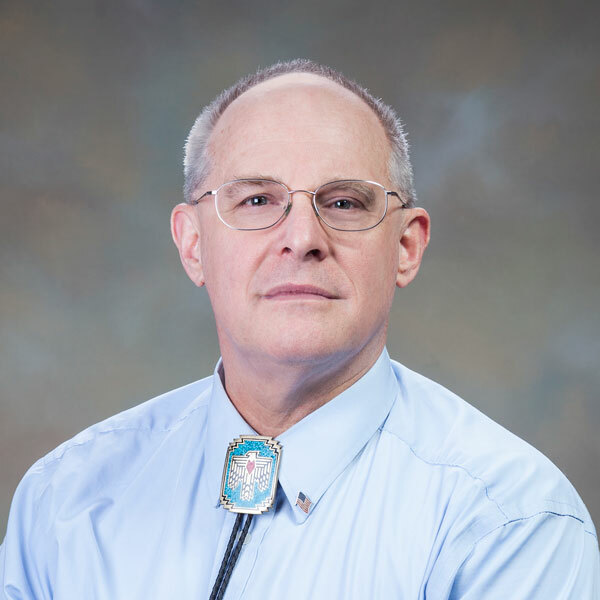 He has received numerous awards for his service, including three Civilian Service medals from the Pentagon, and the National Security Agency Research Medallion. He is a fellow of the American Association for the Advancement of Science, a senior member of the Institute of Electrical and Electronics Engineers and a fellow of the University of Texas Institute for Advanced Technologies. Herrera plans on working with others across the laboratory on the cultural and institutional barriers that inhibit the transition of technology from research to mission application. Matzen, born and raised in Nebraska, received his bachelor’s in physics and chemistry from Hastings College and his doctorate in physical chemistry from Iowa State University. 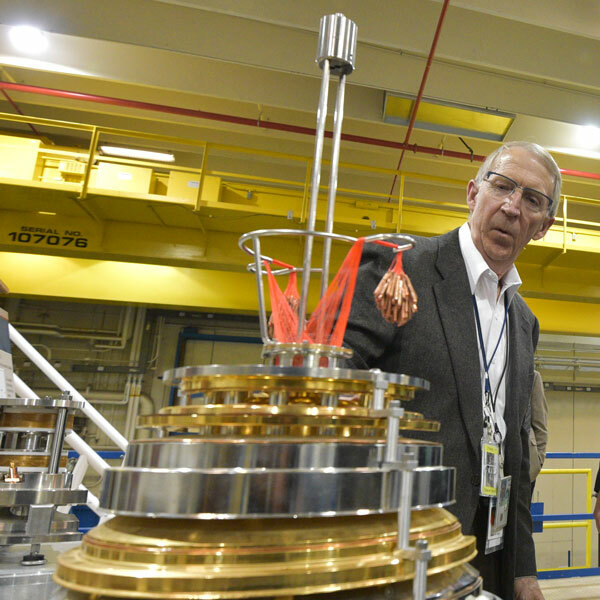 Sandia National Laboratories fellow M. Keith Matzen at Sandia’s Z facility. (Photo by Randy Montoya) Click on the thumbnail for a high-resolution image. 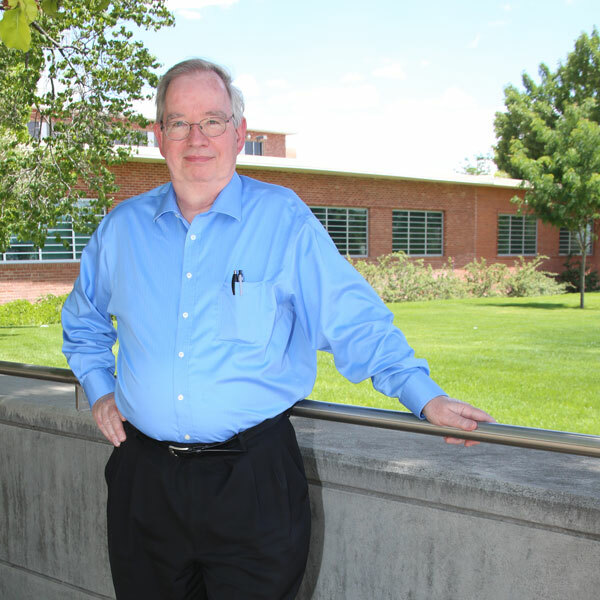 Over the last few decades, he worked with teams who advanced and accurately measured the properties of extreme states of matter on pulsed-power facilities. “With very brief pulses of very large electrical currents, the magnetic field pressures associated with the pulse can drive materials to temperatures of millions of degrees Kelvin and pressures of millions of atmospheres, often called High Energy Density science, or HED.” One degree Kelvin is roughly equivalent to 1.8 degrees Fahrenheit. The number of applications have grown with each new generation of pulsed-power driver. They now include radiation effects science, radiation physics, fusion physics, dynamic material properties and various physics issues associated with the performance of the nuclear explosive package, Matzen said. “Collaborations with university research groups have led to fascinating progress in astrophysics — for example, physics issues in stars and black hole accretion disks —and also in planetary science, such as the physics of the structure of Earth and super-earths, Jovian planets and formation of the earth-moon system,” he wrote. “Our teams at the Z facility have had phenomenal achievements with our experimental and theoretical tools, and my job for many years has been to try to provide some guidance and resources plus a research environment within which they can succeed,” Matzen said. “As a laboratory fellow, I intend to help to refine the requirements for the HED capabilities that are needed to close existing gaps in our stockpile stewardship program and support our national security and nuclear deterrence strategies,” he said. 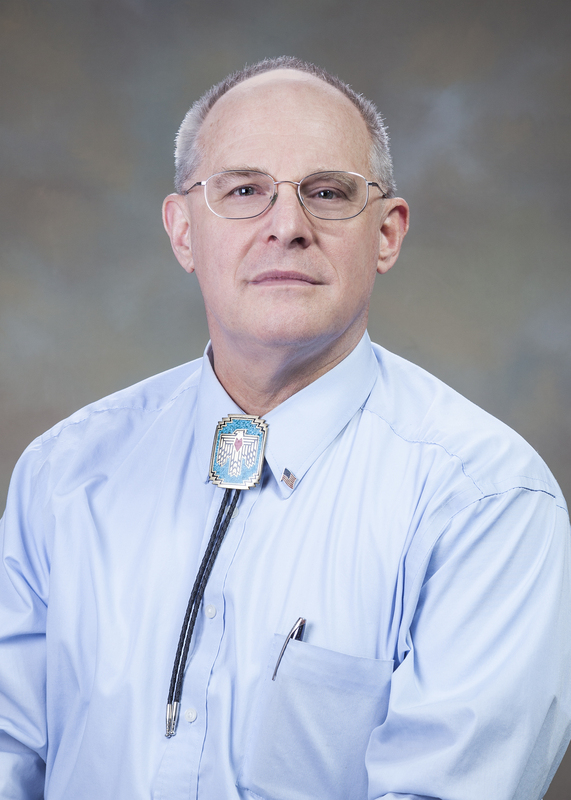 Matzen is a fellow of the American Physical Society and the recipient of the Fusion Power Associates Leadership Award. 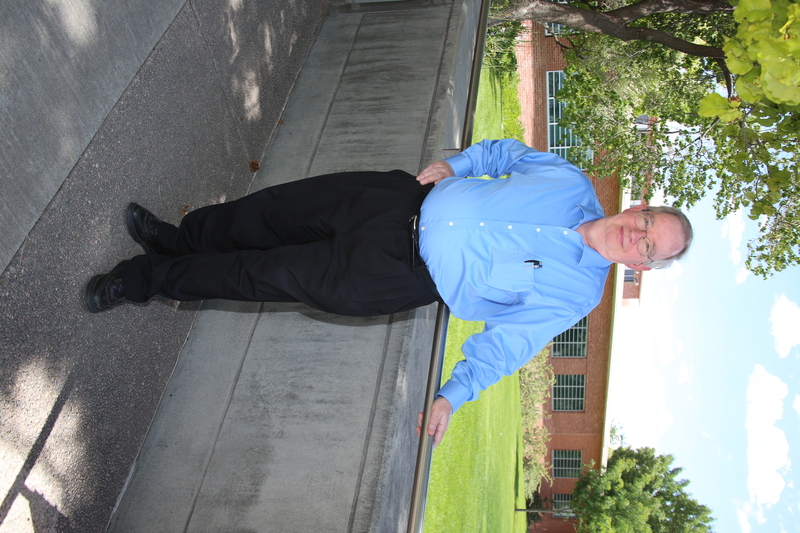 Sandia National Laboratories fellow William M. Miller. (Photo courtesy Sandia National Laboratories) Click on the thumbnail for a high-resolution image. Miller grew up on the West Coast, son of a Navy career veteran. Miller’s degrees, all in physics, include a bachelor’s from University of Washington, and a master’s and doctorate from the University of Illinois. When he was in sixth grade, his parents bought him popular technical magazines, one of which described Sandia’s cutting-edge work. “I was fascinated and read that article over and over, thinking as a child of 13 that Sandia would be a neat place to work.Fifteen years later, with my Ph.D. defense just months away, I started to pay close attention to recruiting posters. There was one for Sandia — the same Sandia that I had read about as a child. I signed up, interviewed, was offered a job and accepted,” he wrote. Simonson grew up in the Boston area and earned a bachelor’s degree in mathematics from Middlebury College in Vermont, minoring in literature. She spent her junior year at Vanderbilt University, where she took her first two courses in statistics and, she said, “fell in love with the field.” She earned her master’s degree and doctorate at Princeton University, both in statistics. Her dissertation focused on the development of data analytic techniques for application in geophysics and structural geology. Sandia National Laboratories fellow Katherine Simonson. (Photo courtesy Sandia National Laboratories) Click on the thumbnail for a high-resolution image. At Sandia, she’s worked on automatic target recognition systems for synthetic aperture radar sensors and new techniques for advanced SAR exploitation. “Sandia and our sponsors were ahead of the times in the 1990s, but the military community has since accepted the need for automated image exploitation,” she said. She has also developed a range of mathematically rigorous data analytic techniques widely used in the near-real time detection, classification and geolocation of threat indicators, often providing orders-of-magnitude improvement over pre-existing technologies. 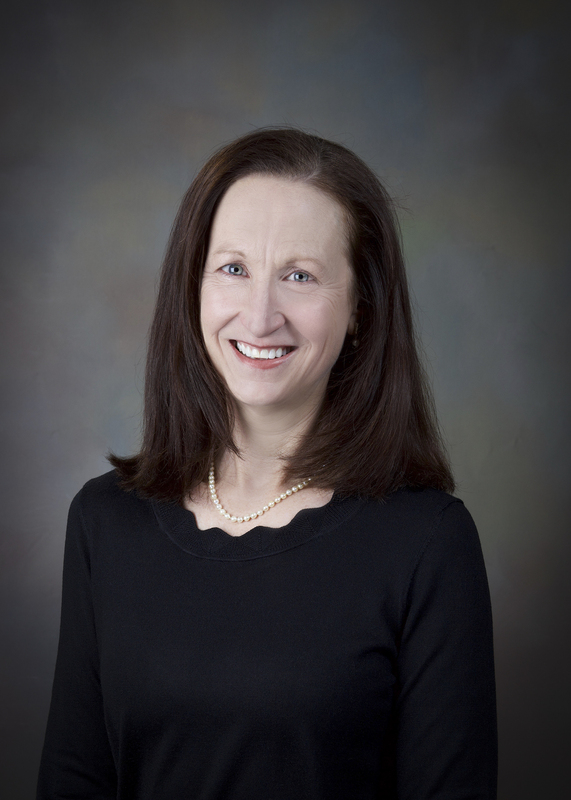 “Several of the statistical techniques that I first developed in graduate school are still regularly cited and applied in the areas of geophysics and epidemiology,” she said. “My work came at just the right time, as these fields were rapidly becoming more quantitative in nature. 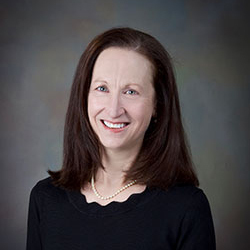 Simonson recently was selected to serve on the U.S. Air Force Scientific Advisory Board Federal Advisory Committee.